There’s nothing better than being out in the wilderness where you get to see nature in all its glory. It’s also lots of fun to be in nature and participate in an adventure such as a snowmobile tour. When doing an organized activity such as a snowmobile tour, you know you’re safe because you have experts with you with all the right equipment, knowledge and experience, they’ve checked the weather including the avalanche forecast and won’t go out if conditions aren’t suitable, they’ve taken precautions such as people back at the lodge know the route they’ve taken and when they would be expecting you back. If you’ve enjoyed your time out in the wilderness so much that you decide to start taking some adventures in the wild by yourself and not with a guided tour you should really have a basic understanding of surviving in cold conditions just in case something goes wrong like you sprain an ankle and can’t walk far or you get lost and have to wait a few hours or even overnight to be rescued. The first skill isn’t really a skill at all, its common sense. Let people know your plans, where you’ll be going, what path you’ll be taking and how long you expect to be out. A satellite radio for contacting civilization would be ideal but not everyone has one and even if you do, it could break or for whatever reason just not get signal. Even if you can contact emergency services, it still might take them hours to reach you, even longer if conditions are poor. For that reason you should always carry some emergency gear in your survival back pack. The most essential equipment to carry with you are those that will keep you warm once you are in the snow. One of those things is a fire starter. This could be matchsticks, fluid lighters or even magnesium strips. The next thing to remember is tinder to get your fire going. Coating things like cotton balls in wax or Vaseline make them suitable for tinder, especially since they are less likely to become water-logged after the coat is applied. Other must carry items are something to process wood like a hatchet or foldable saw and a whistle to attract attention. There are more things you should carry but that is the topic of another post. 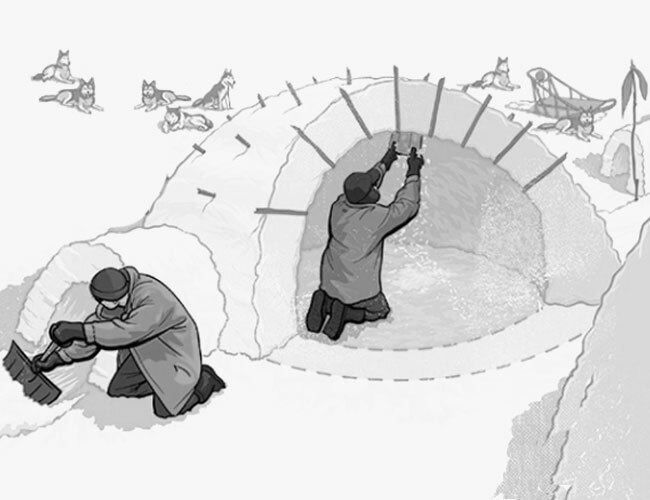 Any person exposed to the elements during winter could be in a perilous position due to exposure or hypothermia therefore shelter should be the first thing you build in the wild. Look for flat, high-altitude areas that are below treelines and have little snow. Trees are windbreakers, and they will provide fuel. If possible, look for a place with a nearby water source. Water is necessary to prevent dehydration, frostbite, and hypothermia. 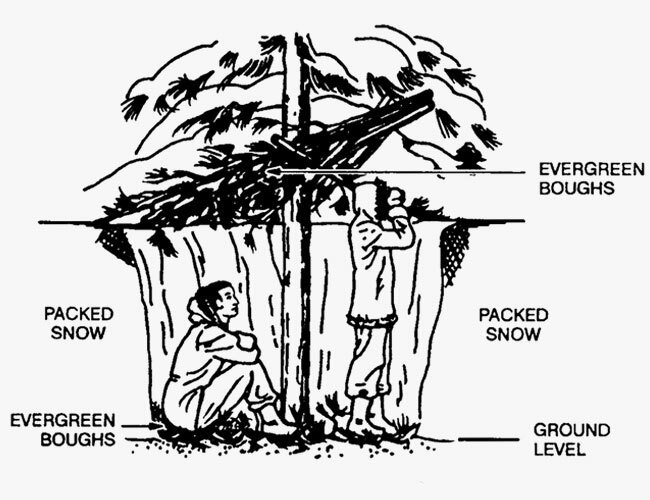 You could set up a camp and use the trees for cover, or dig a snow fort (trench or pit) which would provide more insulation. Having a fire is essential to survival during winter. 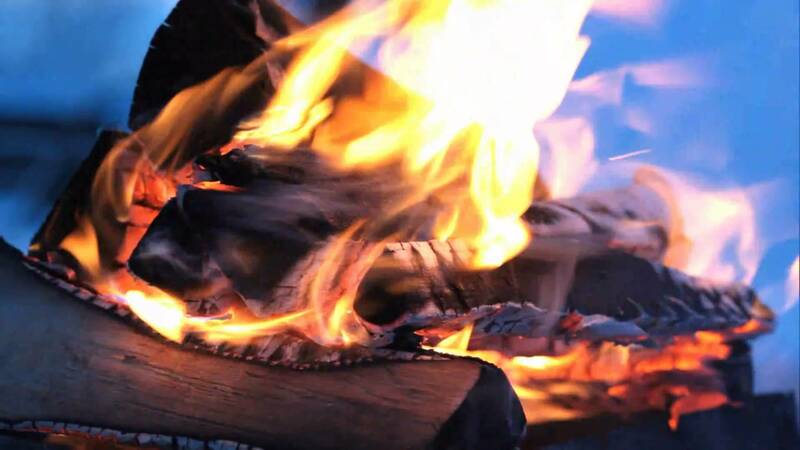 Fire, after all, is used in everything from melting snow for drinking water to cooking to keeping warm. For the fire gather dry wood, or if you don’t find any, gather wet wood then remove the wet outer layer using a knife or hatchet and use the smaller kindling. 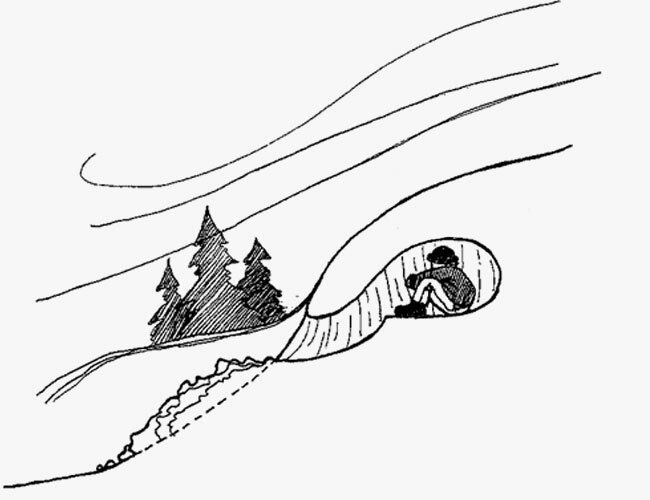 Dig a pit in the snow about two feet deep and line it with wood at the bottom so that your wood fuel will not be waterlogged. Put tinder over this layer, then put the smaller kindling in and light the fire. Add the larger pieces over time to make your fire last longer. Another way to conserve wood is to use the pyramid arrangement so that as the wood at the bottom burns the one at the top dries. The other benefit of having a fire is that if you are in need of rescuing, you can burn green wood or leaves over the fire to give a smoke signal which will allow rescuers to find you easier. Staying warm is important when you are in snow. You could do this by drinking hot liquids, wearing winter clothes, staying close to your fire, sleeping in an insulated snow fort or sleeping bag, sleeping on dry ground and avoiding exertion. Exertion leads to sweating which in turn leads to dehydration, not to mention cooling when the sweat freezes.